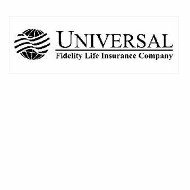 Universal Fidelity Life Insurance Company offers life insurance, dental insurance, and health insurance. The company has been in existence since 1935 selling insurance to individuals, families, and seniors. Receive online health insurance quotes from active providers by entering your zip code into the toolbox now! According to the Texas Department of Insurance, as of 2010, Universal Fidelity Life Insurance Company has assets in the amount of $10,843,309 with health insurance premiums in the amount of $585,397. You can contact a Universal Fidelity Life Insurance Company agent by calling (800) 366-8354 or (580) 470-2243. You can also contact the company by sending an email to [email protected]. However, the only health insurance policy described on the company’s website is the Primary Care policy. Universal Fidelity Life Insurance Company’s Primary Care policy is a hospital indemnity policy. The benefits under the policy can be viewed by downloading a brochure on the company website. Coverage includes physician office visits to the doctor of your choice, hospitalization, and prescription medication coverage. Maternity benefits are also provided under the Primary Care policy. The Primary Care policy can be purchased and used as a secondary insurance policy to any existing policy for added insurance coverage. Under Universal Fidelity Life Insurance Company Primary Care policy, policyholders are renewed automatically until the age of 64. This benefit applies to anyone within the family who maintains the Primary Care policy. Universal Fidelity Life Insurance Company Primary Care policy is administered by the United Benefits Group, which is based in Tulsa, Oklahoma. However, it is underwritten by Universal Fidelity Life Insurance Company. Under the Primary Care policy, hospitalization is covered up to an entire year for each occurrence at a rate of $30 a day. Under the Primary Care policy, there is no deductible and co-payments are only $15. However, you can only see the physician, visit a laboratory, or get x-rays once a day and no more than three times a month. The maximum benefit per year is $1000. The insurance will cover the physician’s charge of up to $150. Anything over that, the policyholder is responsible for paying. There is no co-payment required for certain procedures. These procedures include routine mammograms and immunizations. Prescription medication is also covered under the Primary Care policy. Generic drug cost is only $15 for generic drugs. However, name brand drugs that are available in a generic form require a $15 co-payment and then the insurance company and the policyholder will split the difference 50-50. When you purchase a name brand drug, you are required to pay the $25 co-payment in addition to the difference between the generic name brand cost and name brand cost. Universal Fidelity will only cover up to $500 per year for prescriptions for each policyholder. The President of Universal Fidelity Life Insurance Company is Michael Mclemore, and the Secretary and Treasurer is Penny Lee Stewart. According to the Better Business Bureau, the business is not rated, as there is not sufficient documentation to rate the company. This is not necessarily a bad thing as it also indicates there have been no complaints filed against the company. As of April 2011, A.M. Best at changed its opinion on Universal Fidelity Life Insurance. A.M. Best changed its outlook on Universal Fidelity Life Insurance from a negative financial outlook to one that appears to be stable. The rating is now also a B+ according to A.M. Best due to the changes the company made in staffing and policies. The company continues to look for ways to increase its profitability and financial stability. Universal Fidelity Life Insurance Company is licensed to underwrite health insurance products in the southwestern and south-central United States. Find active health insurance providers in your area by entering your zip code into the free toolbox now!